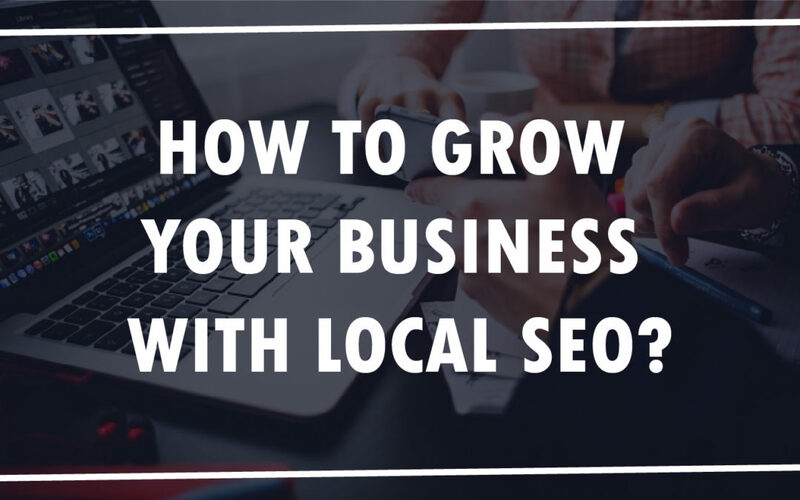 How to Grow Your Local Business with Local SEO? Growing a business locally can be a daunting task. Whether you’re a local shopkeeper or a talented tattoo artist, there are many others like you doing the same thing in your city, town or state. So how do you come out on the top? How do you put your business in front of the local people and grow your business locally? Well, it all boils down to how effectively you target local customers. Instead of foraging through an ocean of potential customers, a localized SEO approach would certainly yield better results. A traditional SEO is a strategy of optimizing your online presence so that your business can appear to the people who are searching for it worldwide. While a local SEO would be optimizing your online presence so as to appear in the search results of only potential customers around your business’ geographic location. Long story short, Local SEO puts your business in front of only those people who are near you and are looking for similar products or services. Putting your business on the map. As Local SEO banks more on your geographic location rather than the keywords to show your results to only those nearby, the first and the foremost thing would be to be on Google Maps. So when a person in proximity searches for services or products you offer, you are already on the map, up and ready, to sell it to them. So how you do you get on the map? This, you can do by listing your business to ‘Google My Business’. Google My Business, helps your business get listed as a local one on the top of the page. It helps your business stand out from common search results on google listings page. Even if you are not ranked at #1 keyword-wise, Google My Business puts you right where you want to be – on the top of the search results. This increases the likelihood of a customer clicking on your business by manifolds. Of course given that you have update your business listing by providing all of your business details Google asks for. Content is indubitably the king and is one of the most instrumental factors you can bet on to attract more customers. Creating SEO friendly content is much more than just adding the right keywords. It is about adding relevant keywords where needed and making it look natural. Yeah, that’s right! If you need your content to rank at #1, it must be genuine, crisp, and easily readable to the readers and have relevant keywords scattered intermittently. It must also not be boring or uninteresting. If so, you will fail to retain traffic rendering your website as ‘not a top ranking result’ in Google’s eyes. Try and try until you succeed. Local SEO strategy depends upon myriads of other factors than listed here. It is just a matter of experimenting with altered inputs and picking out the strategy that works best for your business. Which may work wonders for you may not work the same for someone else. Trying out different things, learning from it and keeping a track of what works best is the only way to go!